Thank you for being interested in Sofia. My name is Will Duncan and I am one of the founders of Sofia. 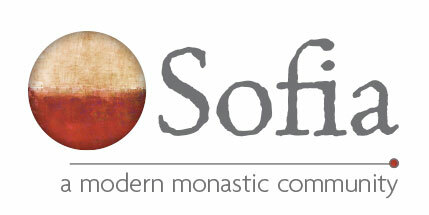 My involvement in this project was born out of 25 years of being drawn to monasticism. I left home when I was 18 with a desire to be a monk and I travelled the world studying various monastic traditions and ultimately looking for a potential home in one of them. My heart teacher, Rev. Murray Rogers, guided me in this pursuit and introduced me to some of the greatest monastics of our times; extraordinary people that gave me great belief in the power and relevancy of the contemplative way of life. I entered this search with a couple of core convictions that ended up in many ways keeping me homeless. Having had authentic spiritual experiences in a couple of different religious traditions I felt almost troubled by the fact that I could not deny the validity of a variety of different paths. I was searching for a place where I did not have to suppress or deny these beliefs in the validity of multiple traditions. I was even searching for a place that recognized that ones own path is often strengthened by sincerely studying and practicing the strengths in other traditions. The other issue that often came up for me was a painful disconnect I felt in monastic communities between the spiritual pursuit and a sustainable and reciprocal relationship with the earth. The Dominican Sisters at Genesis Farms calls this Earth Literacy; a feeling of stewardship with the earth and not the entitlement of ownership. My own teacher's ashram in North India (Jyotiniketan) was exemplary in this respect. Their earth literacy was rooted not in sophisticated technologies but rather in a deep commitment to simplicity. They embodied the words of the American mystic The Peace Pilgrim (Mildred Lisette Norman) who said, "I shall not accept more than I need while others in the world have less than they need". The people I have met who are courageous enough to engage this radical simplicity are often the most joyful and spiritually robust people I know. As I continued my journey I became moved by the growing New Monastic Movement in the West; a loosely connected group of people seeking to redefine what monasticism means in the modern world. I also was interested to discover a long tradition of men, women and couples living monastically together in many of the traditional Russian Sketes and Poustinia's of the Eastern Orthodox Church. I have visited some of the last remaining Sketes in the West to learn from their successes and mistakes. Slowly as I have travelled the world teaching (America, Canada, Brasil, Eastern Europe, China, Taiwan, Singapore, India, Germany, and France) I have met more and more people who have a desire for spiritual and even religious community but feel homeless; not being able to find a community that is rooted in authentic practice, while being non-dogmatic and earth literate. But what we have also seen in the last 30 years of the new age and human potential movements is that a desire to avoid the dogmatism of religion can also lead to a kind of watered down and flaccid spirituality devoid of any serious depth or tradition (or even efficacy). How to find the balance? It's a timely question that is emerging strongly in the world today. Many of the old religious institutions are failing for lack of relevance yet many of the modern spiritual communities are proving to be insubstantial and barren. Sofia is a robust attempt to enter that dialogue. We have something to say on this topic and many ideas to test. ​Thank you for taking the time to explore these ideas with us. If any of this sounds interesting to you and you would like to come sit with us or share a cup of tea and conversation then we look forward to hearing from you.